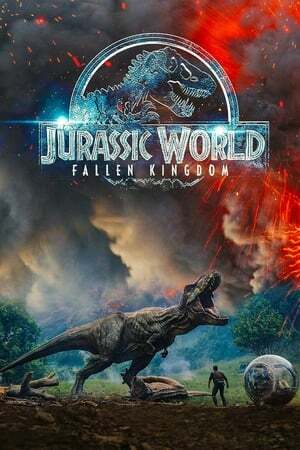 â€œJurassic World: Fallen Kingdomâ€� (2018) revolves around Claire (Bryce Dallas Howard) and Owen (Chris Pratt) leading a team back to Isla Nublar to save several species of dinosaurs after an active volcano threatens all life there. The plan is to relocate the dinosaurs to a new island sanctuary, but thatâ€™s not the way it works out. My title blurb pretty much says it all for this fifth film in the franchise. I mention Indiana Jones because the movie has a â€œRaiders of the Lost Arkâ€� (1981) vibe more so than the other movies. The reference to Draculaâ€™s castle is due to the fact that the entire second half takes place at a cool, gothic chateau in Northern California and thereâ€™s a scene with a genetically-enhanced raptor acting like Dracula. The film runs 2 hours, 8 minutes and was shot in Hawaii and England/Scotland. Oh, the shoes to fill when you are brought in to lead the sequel to one of the biggest blockbusters in recent history. I don't know why producers on Fallen Kingdom didn't stick with Colin Trevorrow after he did such an impressive job on the first Jurassic World. All I know is his replacement J.A. Bayona fails to reach the same level of enjoyment that Trevorrow accomplished. Fallen Kingdom suffers from a poor script that lacks the wittiness that made the first one fun. It also adds a lab geek character for comedic relief played by Justice Smith, but he ends up being annoying and unoriginal. The dinosaurs still look great though so there is that. yes, another one has already been announced. Here's to hoping they can right the ship next time around.